Fundraiser by Marc Zicree : Star Trek's Nichelle Nichols Space Command Scene! Star Trek's Nichelle Nichols Space Command Scene! Nichelle Nichols met me when I was a 10-year-old Star Trek fan, when the show was on the air, and was incredibly kind to me, giving me signed photos and copies of her own scripts from the show. This inspiration led to my becoming a writer-producer-director in TV and writing for such shows as Star Trek -- The Next Generation, Deep Space Nine, Babylon 5 and Sliders. 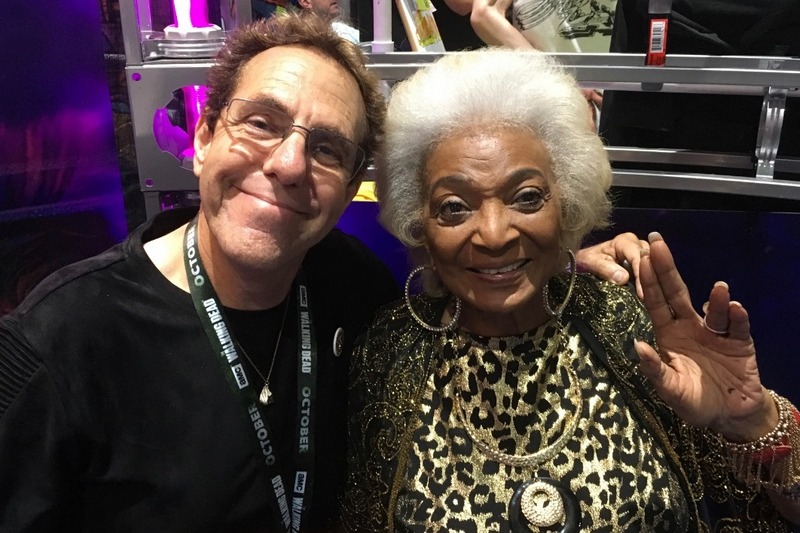 Now I'm making a new science fiction pilot called Space Command and want to shoot a very special scene with Nichelle, which will be a wonderful gift to her fans. Total cost of the shoot, including cast and crew (I'm not taking any salary myself) will be $15,000. Time is of the essence -- we'd like to shoot as soon as possible -- and it would mean so much for all of us to be able to make this happen. We shot the scene with Nichelle last Friday! We need more funds to edit the scene and get it out to everyone, but the footage is safe in hand and went GREAT! Thanks so much for helping make this dream come true. Please spread the word -- every little bit helps! Here's the latest on the Nichelle Nichols Space Command shoot, which is scheduled for April 12th! I also review an episode of Star Trek Discovery. Thanks for helping out and spreading the word -- we can make this dream happen!